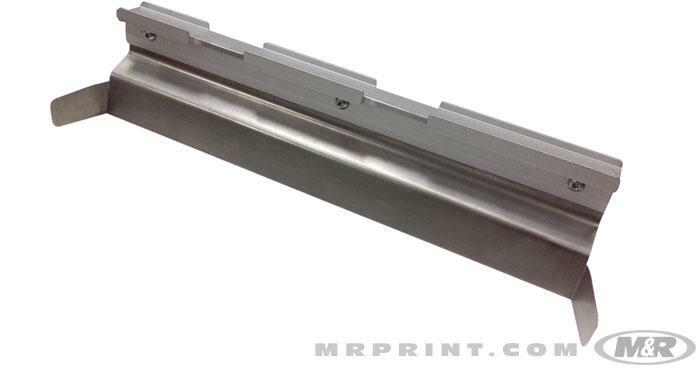 M&R offers pallets and platens for screen printing presses in a wide range of styles and sizes. Specific-use screen printing platens include All-Over Print (AOP) pallets; Double Half-Wing pallets; Jacket Hold-Down pallets; Oversize pallets; Single-Sleeve pallets; Triple Play™ pallets; and Tru-Blu™ Ultra-Flat pallets. 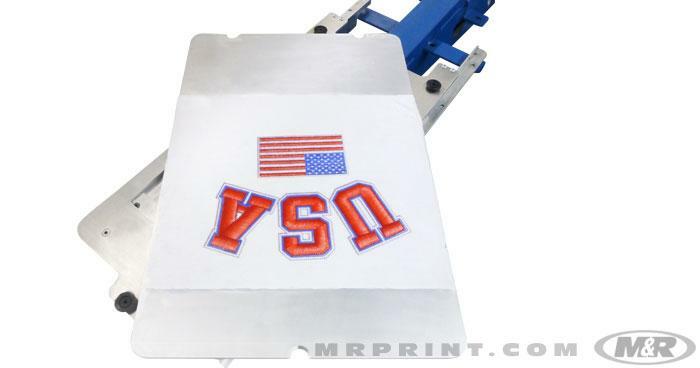 SureVac™ vacuum pallet system lets screen printing presses print specialized substrates. Only pallets and platens from M&R meet M&R’s OEM standard for screen printing equipment. M&R’s Qwik-Klamp™ modular squeegee clamping system makes it a snap to assemble and disassemble squeegee holders and blades. 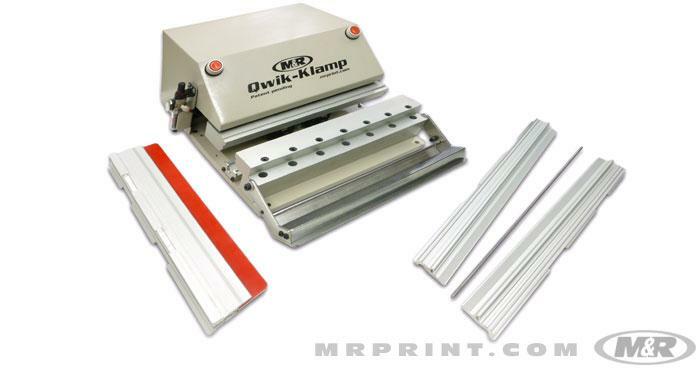 Qwik-Klamp’s modular base unit is capable of clamping squeegee holders and blades up to 56 cm (22”). The modular base unit can be joined with one or more expansion units to enable clamping squeegee holders and blades in 56 cm (22”) increments up to 112 cm (44”), 168 cm (66”), 224 cm (88”) or longer, making Qwik-Klamp ideal for squeegees used in Graphics printing and in oversize and all-over T-shirt printing. 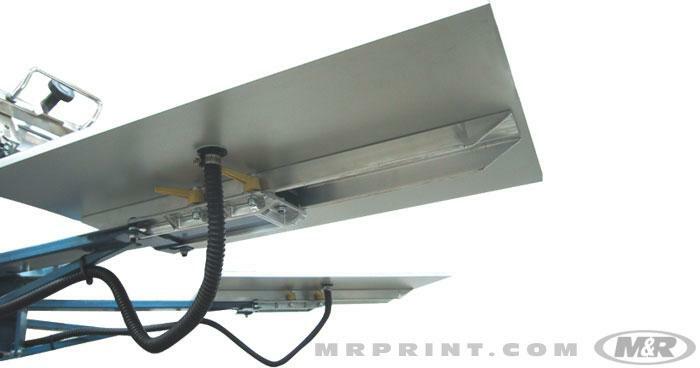 M&R’s unique yet simple Winged Floodbar™ ink containment system helps keep ink under the squeegee and away from the edges of the frame. 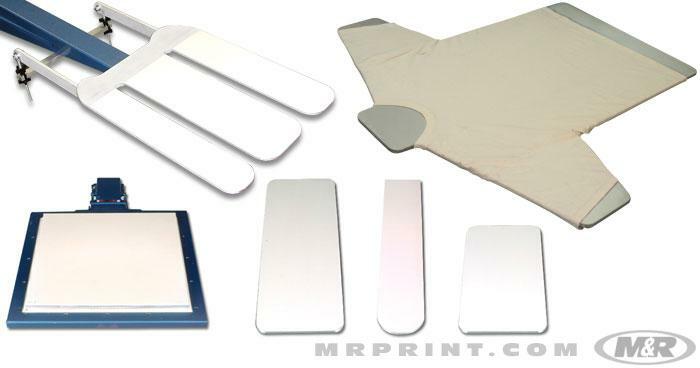 M&R offers screen printing pallets and platens in a wide range of standard and specific-use styles and sizes. Specific-use pallets include All-Over Print (AOP); Double Half-Wing; Jacket Hold-Down; Oversize; Single-Sleeve; SureVac; and Triple Play. All M&R pallets use premium components, are built to exacting specifications, and are designed to fit a wide variety of M&R screen printing presses. M&R’s SureVac™ Vacuum Pallet System lets textile presses print specialized products, including transfers, poster stock, and other rigid and semi-rigid flat substrates. 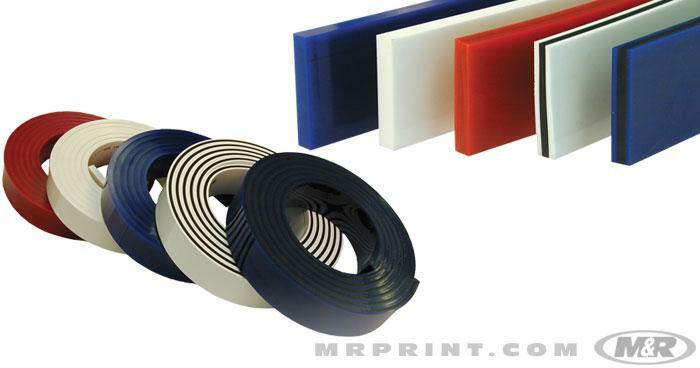 Premium single-layer and sandwiched triple-layer squeegee blades, available in a variety of durometer ratings, feature color-coding and labeling, part numbers, and sharpen-to lines.